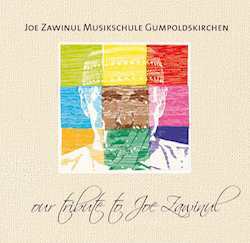 The new Joe Zawinul official website went online today. You can check it out here. According to the website, the Legacy Band will perform in Europe this fall. No dates have been announced as of yet. The band is also booked next year as part of Carnegie Hall’s city-wide Vienna: City of Dreams festival. The Syndicate has a couple of performances scheduled for next month in France and Switzerland. In July, they will celebrate Joe’s birthday on the seventh at Porgy & Bess in Vienna with special guest, accordionist Klaus Paier. They are also booked at the North Sea Jazz Festival. I’ve updated the Tour Dates page. It looks like the lineup has changed a bit, with only Paco Séry and Allegre Correa remaining from the the Zawinul Syndicate. The full lineup is Emile Parisien (saxophone), Correa (guitar), Thierry Eliez (keyboard), Munir Hossn (bass), Séry (drums), and Arnold Moueza (percussion). Speaking of Paco Séry, I failed to note earlier the release of his album The Real Life. The label describes it as a mix of “Africa, Funk, Jazz, Hip hop, R&B,” and I’d say that’s about right. It’s kind of like seriously grooving world music. (How could it not groove with Paco behind the drum kit?) If you liked his first album, Voyages, you’ll like this one, too. 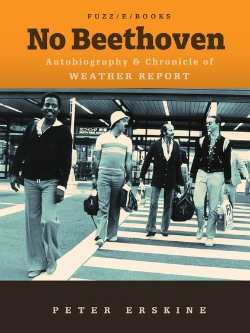 As I write on my Weather Report site, Peter Erskine has published a great new ebook that’s part autobiography, part Weather Report memoir. A must read for Zawinul fans, as well as anyone interested in Peter’s life story, Weather Report, Wayne Shorter, Jaco Pastorious, or the many musicians Peter has worked with throughout his career. I’ve written a brief review over at the annotated discography. 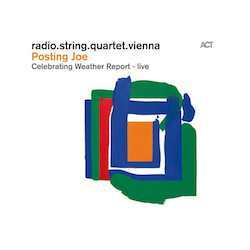 radio.string.quartet.vienna has released their new album, Posting Joe, Celebrating the Music of Weather Report-Live. 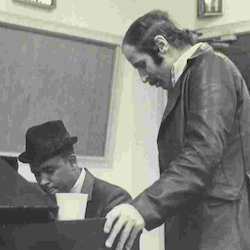 It’s a collection of Zawinul/Weather Report tunes, uniquely interpreted by r.s.q.v. I’ve posted more information at my Weather Report site. After years of procrastination, I am happy to unveil the new, improved Weather Report Annotated Discography. It’s been in need of a facelift for quite a while. The font has gotten smaller and smaller as display resolution improved, and worse, it no longer formatted correctly in modern browser. In addition to the improved appearance, there have been some content updates sprinkled throughout. Head on over and have a look.